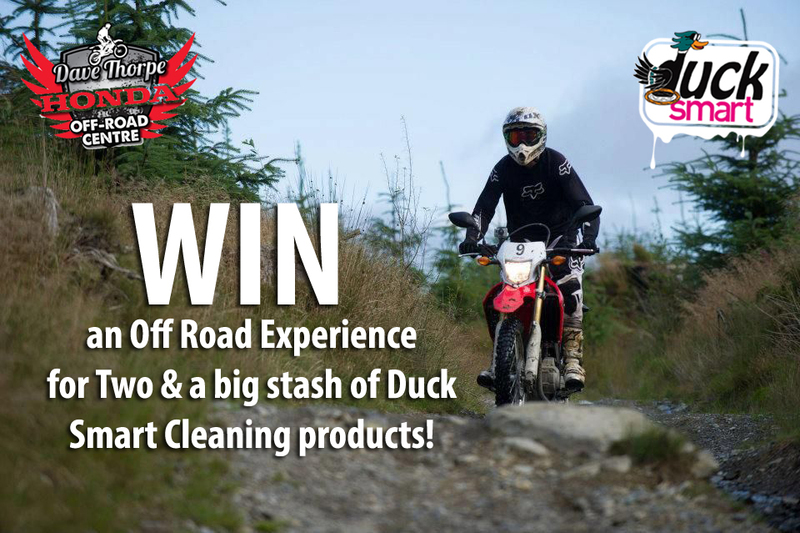 Win an Off-Road Experience for Two and a huge stash of Duck Smart cleaning goodies! Duck Smart & 3 times World Motocross Champion Dave Thorpe have been working with each other for number of years now, which means every now and again we manage to get our foaming fingers on some spaces at his hugely acclaimed Honda Off Road Centre. As is our way we always like to share the loot and open up a comp, so two of you lucky fellows get the chance to enjoy the experience for your own good self's. The winner can pick which type of experience they would like to go on ie Motocross or Enduro and the friendly Off-Centre team will work with you on dates available and all that type of thing. It wouldn't be proper Duck Smart comp if we didn't also throw in a big ol boxful of our cleaning goodies too so this will also be heading the way of our winner. The Dave Thorpe Honda Off-Road centre is situated in Ynyswbwl, South Wales, the heart of some of the very best off-road motorcycling terrain in the UK. The beauty of it all, of course the picturesque location, but the main reason being our Enduro, Motocross and Taster Days all happen in one place... at their Centre! With spectacular views and endless hours of motorcycling fun, it becomes enough to satisfy any rider of any ability. Duck Smart is know as the "Home of the ****"? There are a few Terms and Conditions to this competition. Entries need to be received by Midnight on Sunday the 16th August. All of those who enter the correct answer will be entered into a draw on Monday 17th August with the winner being picked at random. Entrants need to be over 16 and if under 18 will need the permission of a parent to take part in the prize. Anyway now over to you guys! Good Luck. Go Mountain Mayhem Wash Bay - Now with added Mud Slider! Yep its that time of year, where we pack our sleeping bags, ovaltine, some pressure washers, some cleaning gubbins and our Cycle Wash bays and rock up to Mountain Mayhem to deliver our 24 Hour Wash Bay service to the masses. Below is the Blurb that was fired out to the Mayhemers! After hauling our wares up and down the British Isles over the last three years, the Duck Smart Wash Bay crew are well versed in ensuring riders leave events cleaner than what they arrived. 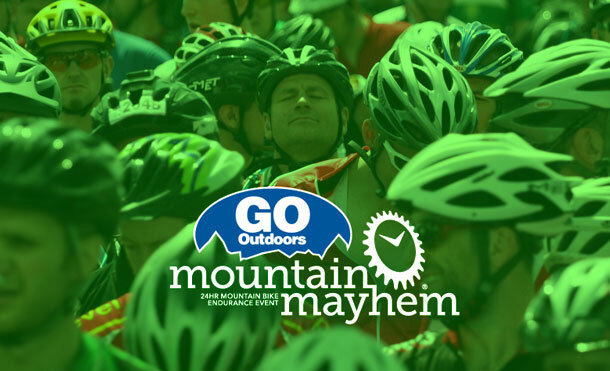 Now through a twist of fate and a trigger spray full of luck, the 24 Hour Wash Bay facilities at this year’s Go Outdoors Mountain Mayhem will be helping you to not get quite as dirty in the first place. Yep our Mud Slider aftercare product, which was created as a Water dispersant and mud sticking stopper for Motocross, has been discovered by some filthy little urchins to be a dab hand at reducing the build-up of mud, dirt and grime on Mountain bikes. These urchins have had some influence, as now Mud Slider is being used by all and sundry for that very same purpose throughout the industry. Not only does it stop the dirt from sticking it means next time you come to clean your ride its tons easier. Now here’s why we like it... as it makes cleaning easier next time round, we figure that when you tired rider folk drop by the wash bay in the early hours of the morn and wake us from our slumbers; 1 your bike will be lighter for us to lift, and 2 it won’t take half as long for us to clean, giving us more nap time. Everyone’s a winner. So on that note, we encourage all you fair Mayhem folk to come visit us, this time, before your ride to apply some Mud Slider. Then after your stint, to clean up with some of our Foaming Earth Mover Bike Cleaner. 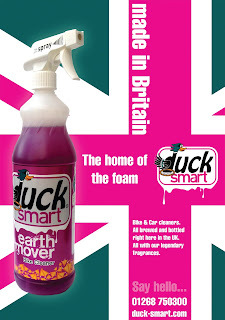 For more information on us, and our range of PH Neutral and great smelling cleaning products visit www.duck-smart.com or search for us on Facebook, Twitter and Instagram... as, yeah you got it ducksmart. Seeya there for the Mayhem! Jeez May has been one hellava month for us Ducks. It started out with the gargantuan Journey up to Fort William in Scotland for the British Downhill Series, with a double puncture on the Duck Truck making it just a little more arduous. 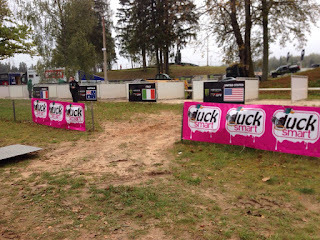 Once we were there, ourselves, the officials, fellow sponsors and the riders who were brave enough to take on the World Cup course, had to batten down the hatches as we were hit with mental winds and driving rain. Disregarding that though, it was another enjoyable event and its great to be part of the BDS with an awesome bunch of people. Not one to rest on our laurels the team then did a split with Chief Duck Gary, Duck Smart Rob and Team DS Athlete Lewis Lacey all heading over to the Dirtmasters Festival at Winterberg in Germany to team up with Michael and his team from Ison Germany to strut our smelling cleaning stuff over there. Rob was like a dog on heat and sniffed his way into the Best Whip competition (finishing in the Top 10 out of 100's who entered), whilst Lewis claimed a 4X Pro Tour Podium, happy Days. Check out the Vid on the left to see some of the action. Whilst all of that was kicking off over in Germany, our Paul stuck to the UK and headed the short distance to the British MXGP. (yeah we know he gets all of the hard jobs) At Matterley Basin he met up with our Comp winner Glenn Despres who enjoyed Pit Lane access with our supported team KRT Monster Energy MX2, as well as a signed Jordi Tixier Race shirt. 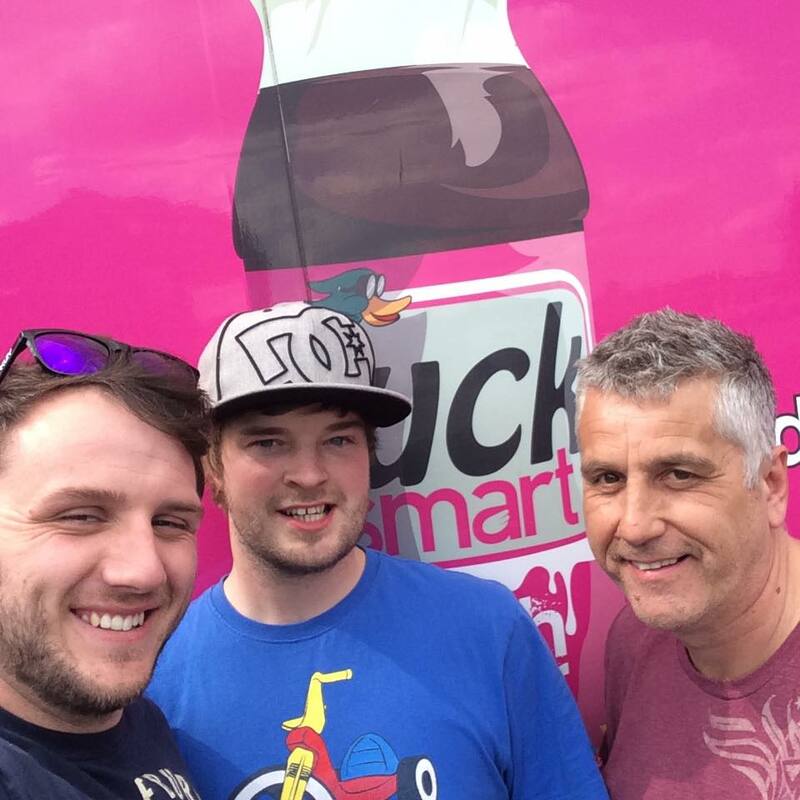 On top of meeting our DS team's Paul also finalised the deal that see's Duck Smart now as an Official Supplier of MXGP, and pretty chuffed about it we are too. To round out the month it was back to Wash Bay duty, this time at the MX Nationals/Pro Nationals Festival Double Header at Weston Beach. It worked out pretty well for us as we are partners of both, so we fired up 8 Wash Bays for all and sundry to use with our special Foam pressure Washer adapter grabbing some attention. Well that was us for May. Loads more to come in June and lots of new product development happening so keep an eye for us at Mountain Mayhem and the BDS for samples and testers. 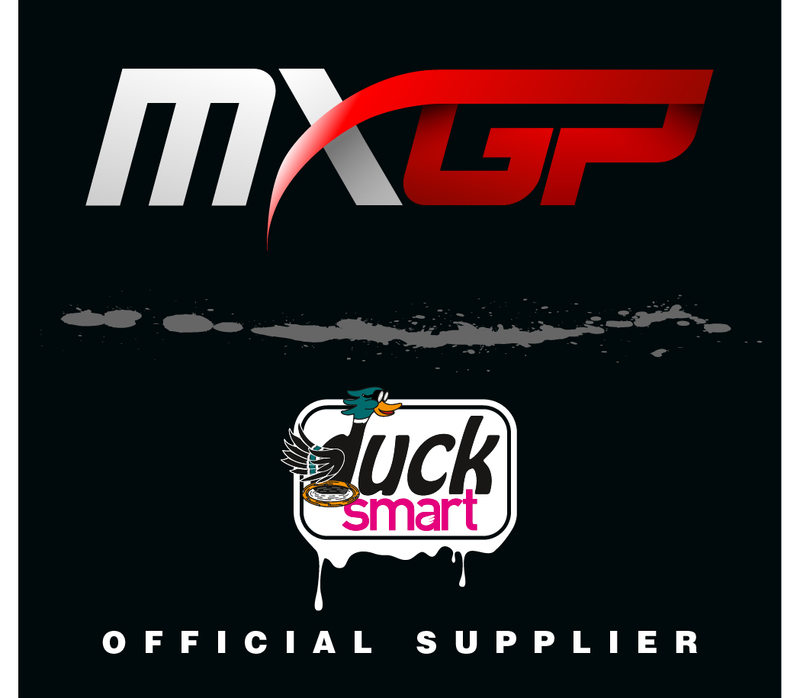 Duck Smart proud to be an Official Supplier of MXGP! Having been working with the chaps at Youthstream, the organisers of the MXGP World Motocross series for the past 8 months or so, and with both parties enjoying this union, its awesome for us to announce that its now Official. 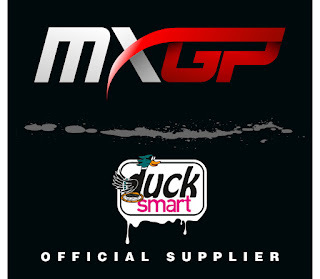 So yep, that makes Duck Smart an Official Supplier of MXGP, with our products being used to clean and spruce up the Trucks, Bikes, offices and the whole shooting match, with further Wash Bay product supply in the offing. 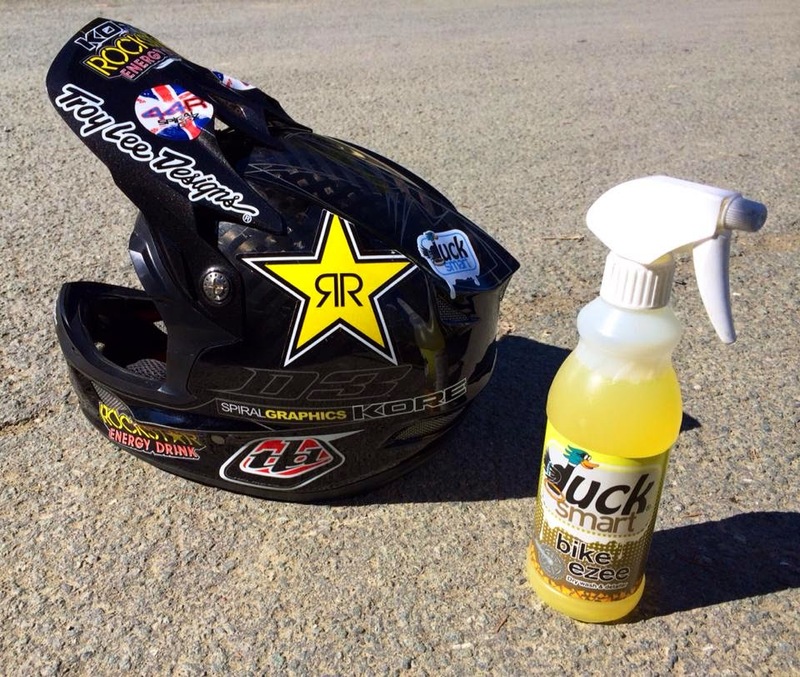 Duck Smart, as the official supplier of cleaning products for the 2015 MXGP World Championship, will supply Youthstreamwith products which will be used to clean everything such as logistics trucks, offices, bikes, etc. Duck Smart fiddy up with Mini Bike Champs! The Mini Bike racing scene has hit it big in recent years, and this huge resurgence has a big thanks to the Mini Bike Champs series which has taken the sport to a whole new level, and we are proud to be on-board for 2015 as their Official Cleaning Partner. Whilst being easily accessible for riders of all ages and abilities don't be under any illusions that the Mini Bike Champs isn't series stuff. The events are well run with sponsors galore, and the Pro races serve up some epic action. 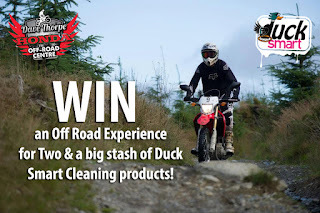 We look forward to providing a mixture of prizes and our foaming and great smelling cleaning goodies at the events, as well as sitting back and enjoying the friendly atmosphere which is all part of the unique aspect of Mini Bike racing in the UK. 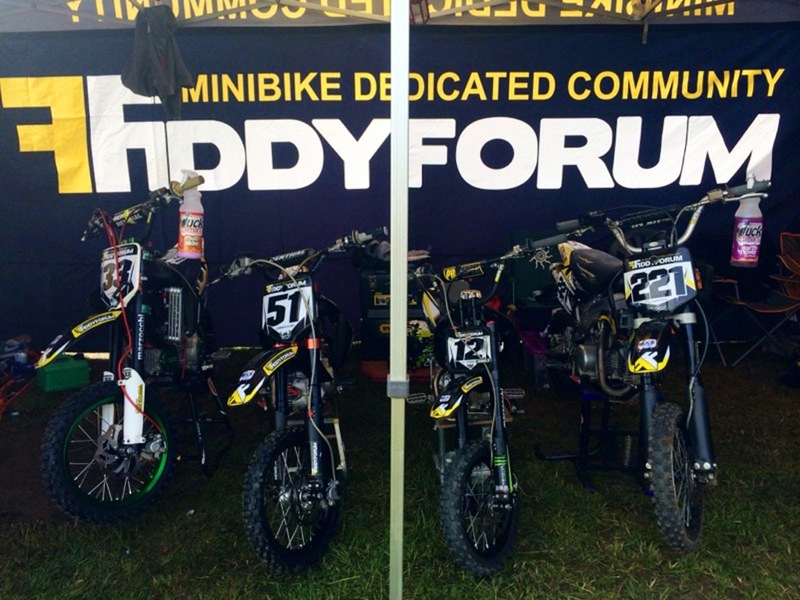 We have been involved in the Mini Bike scene for sometime now, and are please to be supporting the Fiddy Forum team once again in 2015, with another team to also be announced soon. 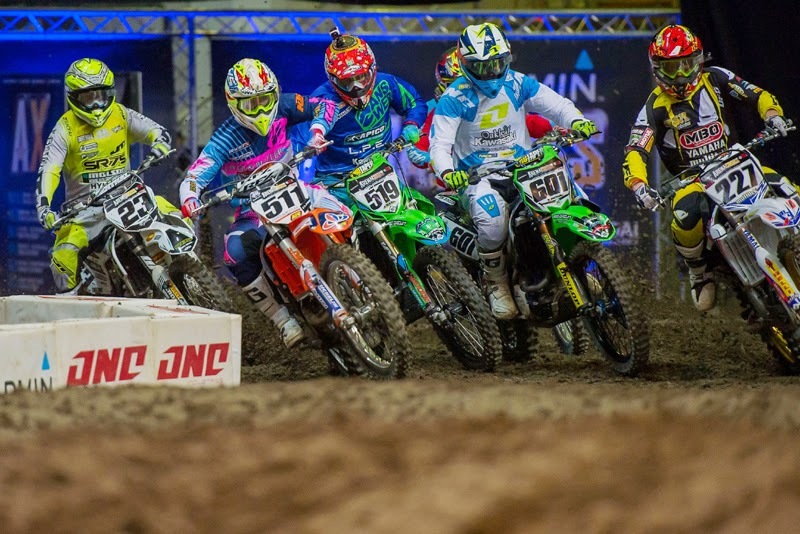 Duck Smart: Official Cleaning Partners of the UK Arenacross Tour! Howdy there festive fellas! This week has ended amazingly for us as we are proud to say we are the Official Cleaning Partners of the epic Arenacross Tour and what is by far the best Offroad event experience in the country. We have been working with our good buddies at E22 Sports for some time now; first up with the Pro Nationals series, and last year with the Pro Nationals Festival and it has always been a partnership that has worked well and we have enjoyed. So now, like Spinal Tap we will be loading up the Tour bus and hitting the many cities in the series and providing Waterless Wash Bays for the riders and teams using a combination of our Smart N Ezee Drywash and Detailer and our Mud Slider aftercare which should stop too much dirt sticking in the first place. On top of that we will be providing the products, equipment and manpower to keep the Arena signage, promo vehicles, tuff blocks, start gates........ clean, shining and smelling fresh throughout. It wouldn't be right of us not to fire up our Comp machine and offer you the chance to win something Arenacross related would it? on the 3rd January. To be sure these are gonna be the hottest ticket of the new year and as always we will throw in a good stash of DS goodies. To have the chance of entering the comp just head over to our Facebook page https://www.facebook.com/ducksmart and give the relevant post a Like N Share and one lucky festive elf will be winging themselves and a buddy over to Manchester. It's Downhill from here for the Duck Smart Wash Bays! We conquered the Motocross Pro Nationals Wash bays, toiled through the arduous 24 hour Wash Bays at Mountain Mayhem, and survived the chaos of a World Cup Cyclocross wash bay, and now we have committed to serving the British Downhill community in 2015 with the same facility. Duck Smart at British Cycling’s National Downhill Mountain Bike Series (The BDS) in 2015. BDS Racers, this is the news you have been waiting for! No more waiting in long queues for the hose pipe or filling up your buckets/containers and trudging across a muddy field! The Duck Smart team will be at every round with their bike wash stations, Karcher jet washes and bucket loads of products to make sure your ride, rolls away spotless, sparkling and ready to race! Duck Smart's Paul Oughton said “We are looking forward to following the BDS road show around the country in our Duck Truck providing our wash bay facilities at all of the BDS rounds in 2015. 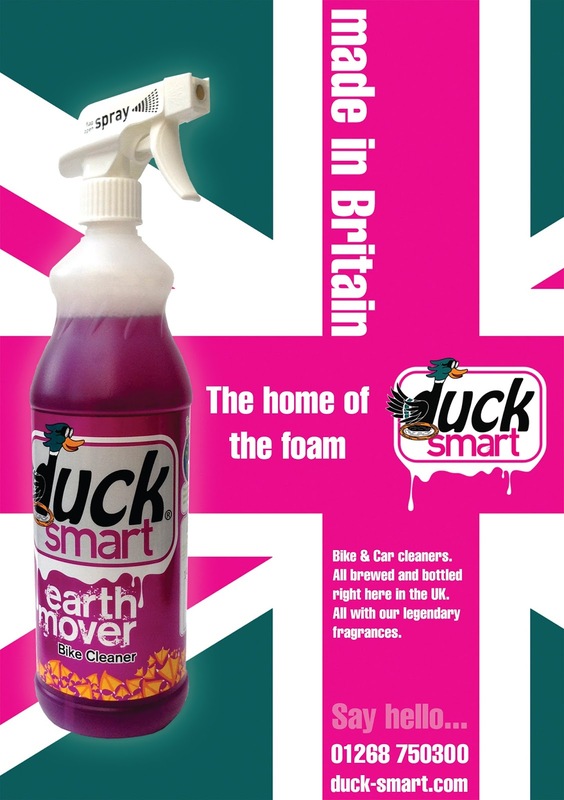 The reputation and quality of the BDS throughout the UK and around the World is something we are proud to be involved in, as we look to spread the word about the Duck Smart product range. On top of our shower style wash facilities our full range of sweet smelling products are available for all competitors to utilise. We always like to communicate directly with riders for both feedback and a good old bit of banter. We are really looking forward to becoming a real part of the BDS and growing our brand to the race community and their followers”. 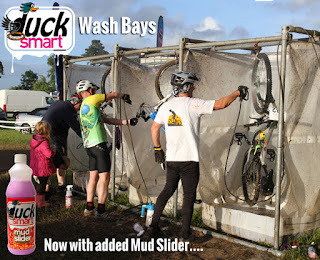 Duck Smart the innovative new cleaning brand, will be manning up, donning their wellies, firing up their Karcher pressure washers and providing all the BDS racers with cleaning bays and their great products. The company which hails from Essex, has already been creating waves in the Off Road motorcycle scene. 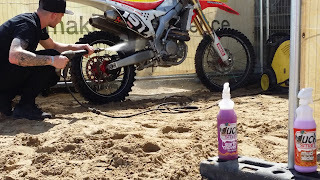 Most notably the strong impact is in Motocross where they have teamed up with Karcher to lay on cleaning bays at the Red Bull Pro Nationals and in doing so convert many an unassuming MX racer with their foaming, sweet smelling and potent Earth Mover bike cleaning product, not to mention the charm and friendliness of the team. Always innovative the Duck Smart team have mustered up a mighty impressive range of products, all of which are created, produced and packaged at their HQ in Benfleet, Essex. The adventure doesn't stop there, as their in house team of chemists with over 20 years in the industry are working with a host of experts in the on and off road bicycle fields to develop new, fast working and innovative products to their range. Their current array of products range from the aforementioned Earth Mover bike cleaner to the detailer and dry wash Bike Ezee, Bullitt Silicone Spray, Wagon Wash, Mud Slider, Launch Marine Cleaner and Rim Bling. Not forgetting their brand new Kit Cleaner which contains Optical brighteners to really bring out those whites and colours. All of their products are biodegradable with their bottles being made out of 100% recyclable materials, as being Duck friendly is all part of the agenda. The Duck Smart team will be bringing their whole range of products to be part of the BDS. Such is the nature of their friendly team you won't be leaving the cleaning bays until your bike has had a good scrub, is smelling great and looking as smart as when you arrived that morning.